Citizens Bank says the founder of collapsed Kingdoms of Amalur developer 38 Studios is personally responsible for $2.4 million. Not entirely surprisingly, fallout from the collapse of 38 Studios is starting to come down on the head of Curt Schilling, the former Red Sox ace and long-time gamer who founded the studio in 2006. After a rapid spiral downward, the studio declared bankruptcy earlier this month, leaving a mountain of debt in its passing, but Citizens Bank says Schilling "personally guaranteed" nearly $2.4 million in credit the bank extended to the studio, and now it wants him to pay up. In November 2010, according to the complaint, Citizens Bank provided 38 Studios a $2 million letter of credit, which it used as a security deposit on the One Empire Plaza building in Providence, Rhode Island, to which it relocated in April 2011; shortly thereafter, 38 Studios opened a separate $350,000 corporate credit card account with the bank. But the studio defaulted on a payment of just over $371,000 on the line of credit, leaving it on the hook for a total of $2,060,241, while the amount owing on the credit card as of June 7 is just over $373,000. The grand total comes to $2,394,240.40, a figure that's just going to go up as interest, legal fees and other costs accrue. Unfortunately for Schilling, the bank claims that he "absolutely and unconditionally guaranteed to the Bank the payment and performance of all indebtedness, obligations and liabilities of 38 Studios to the Bank, then existing or thereafter arising." In other words, Schilling said he'd cover it, and now the bank is knocking. 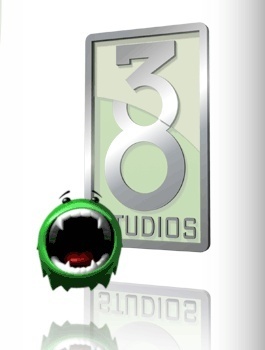 As if that's not bad enough, this apparently isn't the only 38 Studios loan Schilling personally guaranteed. He did the same for a $4 million line of credit, later reduced to $1.5 million, with the Middlesex Savings Bank in July 2010. Schilling has not yet commented on the lawsuit.